As the jailbreak for the iOS 7.1 to 7.1.2 arrives, there are several tweaks that are seriously important and necessary which make your iPhone look attractive and makes your life with the iPhone easy. Today, we will discuss them in two categories, one of the categories is a graphical tweak which makes your iPhone look attractive and the other one is an essential tweak which makes iPhone usage easy. 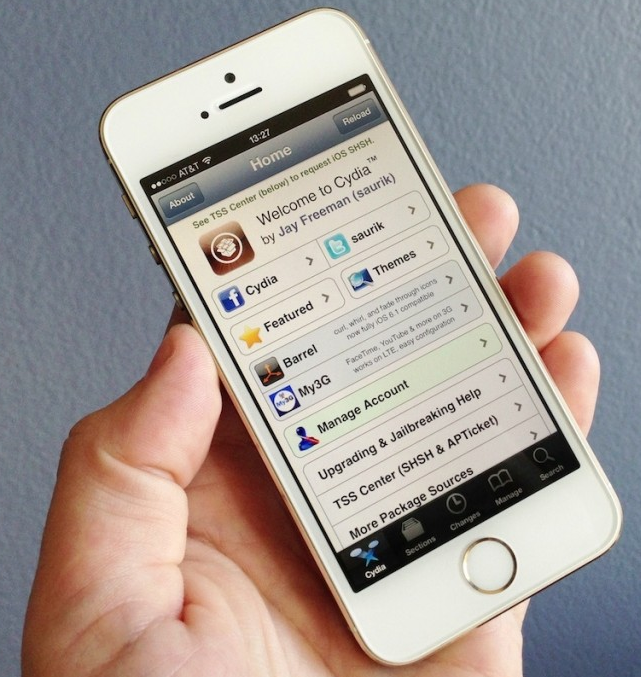 Below are the Review of Top Six Best Paid / Free Cydia Tweaks & Apps for iPhone 5S, iPhone 5C, iPhone 5, iPhone 4S and iPhone 4 Running iOS 7.1.2 / 7.1.x Firmware. First tweak is Iconbounce. As the name says, this tweak gives random bounce-rotate and flip effect to the icons on your iPhone’s dock which looks great and attractive. Below are some pictures of tweak’s available effects and tweak in action. This tweak is available in BigBoss repo and can be downloaded for free. Everyone should give it a try. 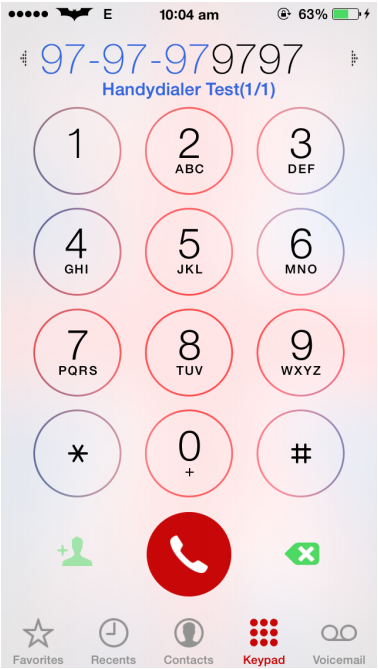 Are you bored with the boring green call dial or pickup button or simply the tint color of the iPhone? The tweak you need is Chroma. 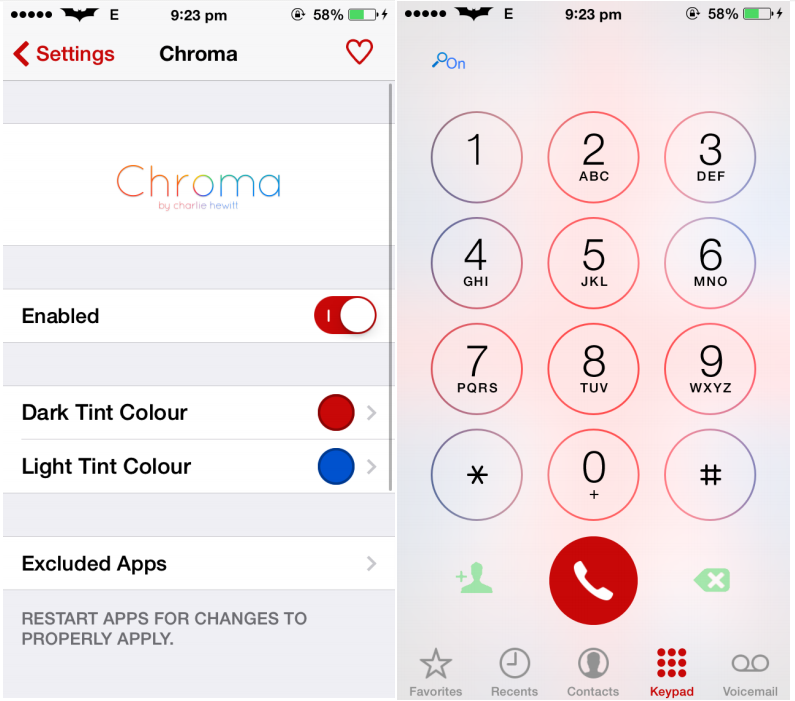 With this tweak u can change the dark and light tint color of the iPhone which looks flawless. It’s available in the ModMyi repo for free. Apple iPhone users who want to dial their contacts speedily just from their dialer app without opening the contacts, you need this tweak. It’s called ‘HandyDialer’. This app gives you suggestions of contacts from the dialer app itself. This tweak is very useful and lets you dial contacts quickly. This tweak is available for 3.99$ in The BigBoss repo. This is another great tweak from the BigBoss repo priced at 1.99$. This tweak gives various options such as disable the use of messenger (which Facebook forces to use), send unlimited photos (bypasses the default limit of six photos), disable read receipts, disable typing indicator, stop video auto play, And one of my favorites -stealth mode for messenger means no more ‘read Receipts’. Disable online indicator prevents sharing of mobile or location status. And there’s much more to it. 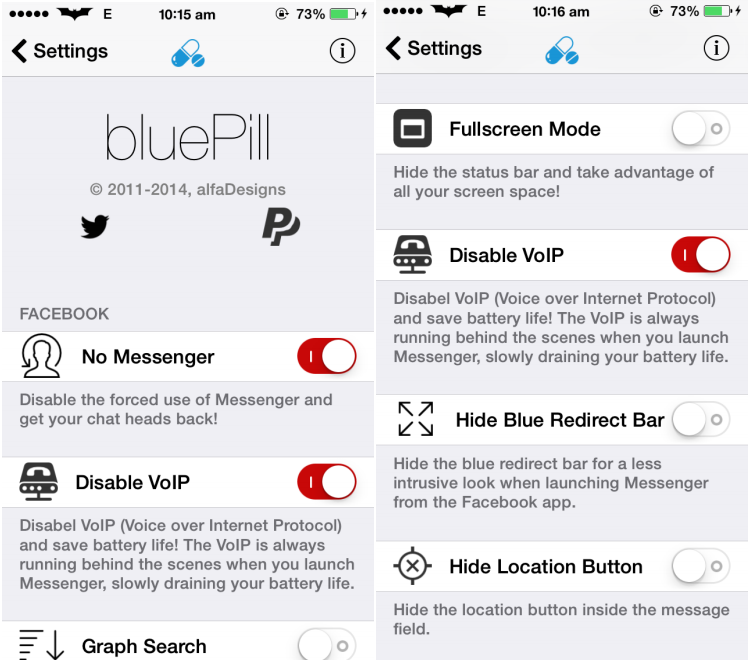 If you’re sick of the Messenger app and want a better, stealthy Facebook experience, you should check this tweak out. BrightPlayer is the first of its kind and a very useful tweak for the video playback. This tweak adds an orientation lock button and a brightness slider when you are playing a video in the app. It’s a very simple but useful tweak that could make your experience with video playback far easier. This tweak is available for free In the BigBoss repo. PowerTap is another great tweak from BigBoss repo, which is also a very useful Cydia tweak. 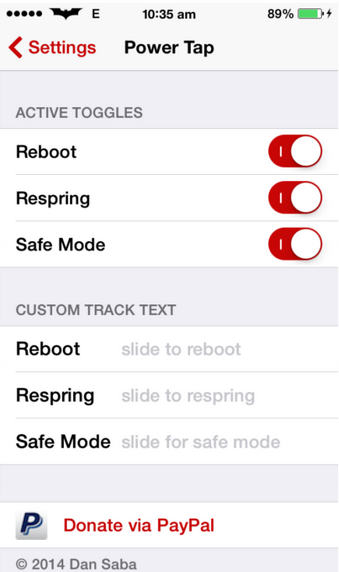 It helps the user to reboot into safe mode, reboot and respring easily. This tweak removes the hassle of first switching off the iPhone and then again turning on and it can reboot, respring etc. just from the power off slider just tap on the slider button to reboot into safe mode ,slide to reboot or slide to respring and you can also change slide to power off text to an custom text. 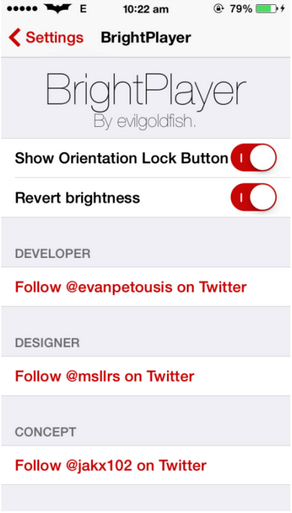 This tweak is available for free and will help you make your life with tweaking easier.